From the streets of Paris to the villages of Western Africa, Coca-Cola is everywhere.But when the drink was first introduced, it only sold 9 glasses per day (and one of its main ingredients was cocaine). How did the little company from Atlanta become the world’s most popular soft drink? Great advertising had a lot do with it. 1888: In the very beginning, tycoon Asa Candler offers free samples of Coke to get people hooked. 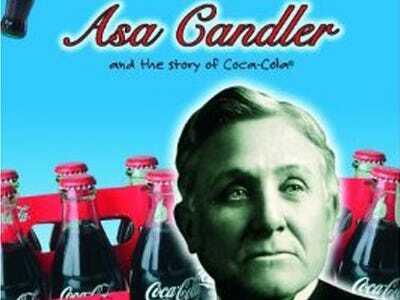 When businessman Asa Candler took over Coca-Cola, he transformed a great idea into a successful company. 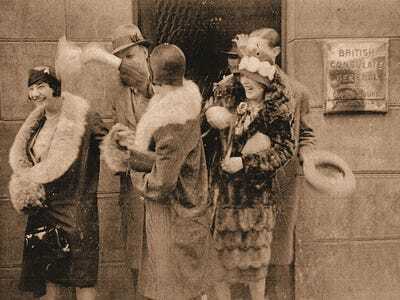 Candler employed many innovative marketing strategies to do this, including the distribution of free samples and coupons. By letting people taste Coca-Cola for free, he easily turned them into loyal customers. When you think of Christmas, a chubby man in a red and white suit probably comes to mind. 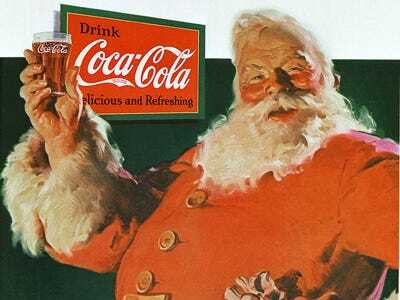 Coca-Cola helped create this modern image of Santa Claus. Designed by Haddon Sundblom, St. Nick became an integral part of Coke's brand, representing the spirit of the holiday season: joy, generosity, togetherness. 1971: Coke writes a jingle that becomes one of the most beloved pop songs of the time. In 1974, America had just come out of Vietnam, Watergate and a decade of political uncertainty. Coke embarked on a new campaign to revive the spirit of patriotism and subsequently become part of it. 1980: Coke makes its mark on the Super Bowl with its Mean Joe Greene ad. 1982: Coke dominates the Cola Wars by introducing Diet Coke, an instant classic. 1993: Coke takes its message worldwide and creates a new iconic image: the polar bears. In 1993, Coke embarked on ambitious marketing project with the 'Always Coca-Cola' campaign. It featured 27 different commercials that appealed to a specific audiences around the world. 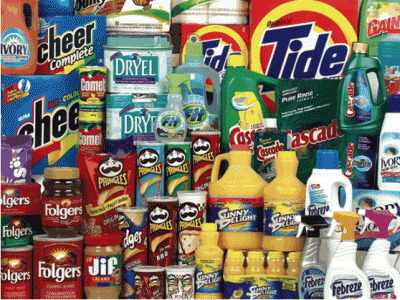 The diversity of the ads made it possible for the company to appeal to a wider range of consumers. The most famous ad of the group, however, was one that featured animated polar bears sharing a coke under the Northern Lights. Polar bears became a classic symbol for the company and even appeared in commercials during the '94 Olympics. 2000: A new campaign uses local resources from all over the world to target a wide range of audiences. Today: Coca-Cola releases memorable new ads every year to keep it at the top of the soda charts.